Rosacea is a very common skin condition that affects mostly men and women over the ages of thirty. It normally appears on the nose, cheeks, chin, forehead, and can even affect your eyes and eyesight. Rosacea is most commonly found on fair skin types or in those who blush easily. It has been linked to heredity and environmental factors. It’s appearance can leave your face red and sometimes be accompanied by small bumps, lesions, or pimples. 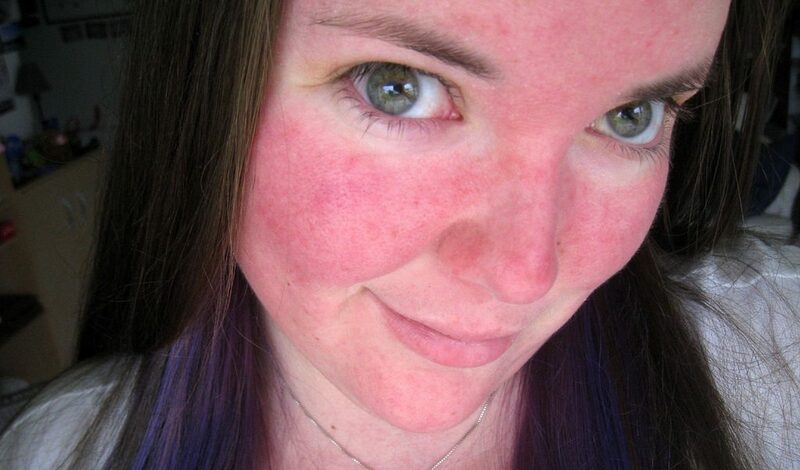 Rosacea can cause depression, diminish your self confidence, and make you feel like you can’t leave the house. You don’t have to fight this skin condition any longer. With a quick trip to the dermatologist, your doctor can tell by the pattern of redness and your symptoms if you have the skin condition Rosacea. What are the causes and symptoms of Rosacea? Scientists and doctors still don’t have enough evidence to pinpoint what causes Rosacea, but they do know that this skin condition is not caused by a bacteria. People used to think that Rosacea was caused by the over consumption of alcohol, this in no longer the case, but in people who have this skin condition alcohol can cause their Rosacea to flare up. Flare ups can be caused by a multitude of triggers. These triggers cause blood vessels in your face to expand, which stimulates the redness and irritation on your skin. Common causes of your flare ups may be strenuous exercise, exposure to the sun or windy weather, humid weather, stress, spicy food, hot drinks and food, alcohol, some blood pressure medications, or hot baths, saunas and showers. Temperature that changes quickly from hot to cold or cold to hot may also cause your Rosacea to flare up. Determining if you have Rosacea can be confusing. The symptoms are often mistaken for acne breakouts. Some people who have Rosacea may think that they have just developed adult acne and never seek help for their Rosacea. The symptoms of Rosacea include a flushed face with extensive redness, dry sensitive skin, small swollen bumps or pimples that may contain pus, thicker patches of skin with a bumpy texture, and dry or redness in the eyes and eyelids. Rhinophyma is a rare symptom of this skin condition that is seen more often in men than women. It occurs when the skin around the nose thickens, and in return makes the nose appear larger. These symptoms may stand alone, or be accompanied by one or more of the other symptoms. What are the treatments for Rosacea? When you make an appointment with your dermatologist or doctor they will rule out other skin conditions with similar signs and symptoms of Rosacea. Acne, psoriasis, some forms of eczema, and lupus all have similar traits that can often appear to be Rosacea. After confirming that you have the skin condition Rosacea you can then start the treatment process. There is no known cure for the skin condition Rosasea, but with the right medication and identifying your triggers you can control your flare ups. A doctor will often prescribe antibiotics that come in the form of a cream, lotion, gel, or an oral medication to help with the inflammation. Antibiotics are great for the short term, but shouldn’t be relied as they can cause a multitude of side effects. If antibiotics don’t clear up your Rosacea you may be prescribed an acne medication. Isotretinoin is a powerful drug commonly used for acne suffers and has the ability to clear up cystic acne. This drug can help clear up the Rosacea flare ups that cause acne-like bumps or lesions. This drug is not recommended for women who are pregnant or planning a pregnancy. The length of time that you will need to be on treatment for Rosacea depends on how severe your symptoms appear. You should typically see results of your treatment with a couple months. Symptoms have been known to reappear with the discontinued use of medications, so a long-term treatment plan may be a necessity. There is also an over-the-counter treatment available.